Multiobjective optimisation with QW-OptimiserPlus module. 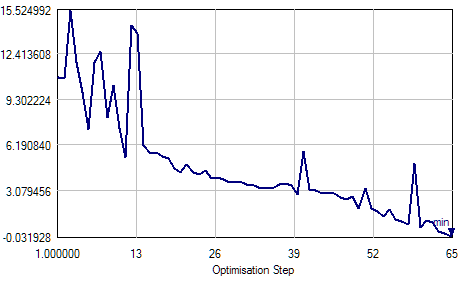 Optimisation for |S11| minimum in a defined frequency range. Optimisation for |S11| minimum in a defined frequency range and maximum radiation pattern in a defined angle range. Axisymmetrical corrugated horn antenna (V2D BOR). Optimisation for |S11| minimum in a defined frequency range and co-polarisation and cross-polarisation radiation patterns in a defined angle range.